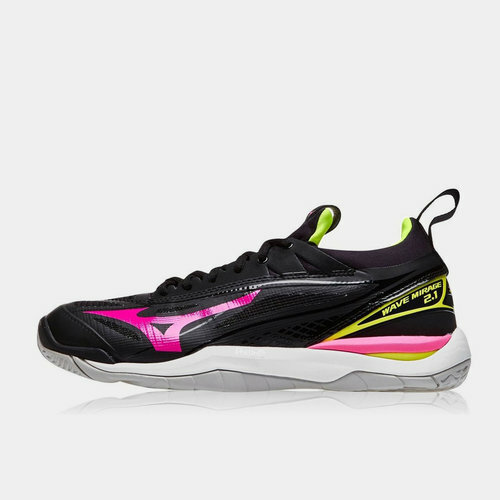 Made for the players looking for a high-performance shoe which offers durability, grip and dynamism when it's needed the most, make sure you're lacing up in a pair of Mizuno Wave Mirage 2.1 Netball Trainers. Stylish in design this shoe features in a black, pink glo and safety yellow colourway which gives the wearer a great on-court look. Built as a technical shoe, enjoy aggressive traction and extra cushioning as you get up and down the court on offence and defence.